Some people want to create a city out of DeKalb County’s unincorporated communities. The meeting will be held at 10 a.m. Nov. 29 in room 450 at the State Capitol, CrossroadNews.com reported. A City of DeKalb has been talked about for decades but the idea has gained new urgency because more cities are forming in DeKalb County, like Brookhaven. Those cities reduce the county government’s property tax revenue. Atlanta City Council failed yet again on Monday to make a decision on the controversial mixed-use development plan off Lindbergh Drive west of North Druid Hills that includes a Walmart. Council voted to send the zoning request back to committee to address the land use issues, according to a note sent to residents by the Lindridge Martin Manor neighborhood association. Developers want to build a mixed-use development that would include a Walmart off Lindbergh Drive near the MARTA station. But the property is zoned for residential use, and Monday’s city council vote indicates that council will not approve the project unless the property is rezoned. Developers battled with neighbors for roughly two years in an effort to move the project forward. Many residents in and around Buckhead opposed the project due to the size of the development and the location. A website has been officially launched in opposition to the controversial Lindbergh development. NPU-B Board member Abbie Shepherd spoke about the site at last week’s meeting of the Buckhead Council of Neighborhoods (BCN), during Atlanta City Councilman Howard Shook’s lengthy and informative discussion about the development. Buckhead Patch originally reported on the BCN meeting here. The site aims to inform the public on why the development is bad for the community, show ways that those interested can contribute to the anti-development initiative and enable others to get the word out about the movement. It features a listing of contact information for Atlanta City Council members and signed letters of opposition. Savelindbergh.org is made up of the people in opposition to this project. We are local residents, neighborhood organizations, homeowner and civic associations, business owners, concerned citizens and voters. You can join too by commenting on this very site and contacting your local City Council members. Shook, who said he had seen savelindbergh.org, asked Shepherd to make her name and the names of others directly affiliated with the site more visible — in order to make it easier to engage in “meaningful dialogue.” While Shepherd pointed out the signed letters, she agreed to post those names elsewhere on the site. Editor’s Note: The following is a news analysis piece by BuckheadView related to the controversial proposed “big box” mixed-use development near Lindbergh Center and the intersection of Piedmont and Lindbergh roads in south Buckhead. This piece is based on known facts, overheard statements, off-the-record conversations with public officials and civic leaders and rumors from credible sources. BuckheadView has learned that Sally Silver, the chairman of Neighborhood Planning Unit B who also works in the City Council office of Dist. 7 representative Howard Shook, has been told to stop speaking out against the proposed Sembler Co./Fuqua Development Lindbergh Center area project, which likely would include a big box Walmart store. 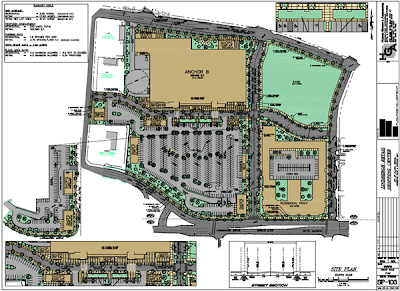 The proposed development, which started out as a totally commercial project and has morphed into a mixed-use commercial and residential plan, has been repeatedly denied zoning and land-use changes by the NPU-B board and its Zoning and Development & Transportation committees over the past year and a half.Silver has been very vocal about her objections to the “big box” aspect of the planned development, its huge surface parking lot and its lack of urban design and transit orientation, both during NPU-B meetings and before the city’s Zoning Review Board hearing last month. As reported this week by the Garden Hills neighborhood’s Town Crier web site, and confirmed to BuckheadView by other sources as well, both Shook and fellow Councilman Alex Wan have told people they will support the land-use and zoning changes to allow the development to move forward. However, at the August meeting of the Buckhead Council of Neighborhoods Thursday night, Shook denied he had told anyone that he would cast his vote in favor of the developers and their plans. From what BuckheadView’s sources say, he may have miss-spoke to the BCN. Several sources told BuckheadView that Silver was muzzled on this issue by Shook himself, and, if she did not stop speaking out on the issue, she might lose her job in the councilman’s Dist. 7 office, a job she has held for many years. Councilman Howard Shook and Sally Silver are shown together at an earlier annual meeting of the North Buckhead neighborhood association. In response to a phone call from BuckheadView asking Sally Silver if she had been told not to continue speaking out in opposition to the proposed Sembler/Fuqua development, Silver provided the following email, which she said would be the full extent of her reply:“As current Chair of NPU-B I have 1 1/2 yrs of involvement with this case. At no time during this process did I receive direction or instructions from Councilman Shook. As NPU-B overwhelmingly voted to oppose this rezoning, I attempted to do my best at explaining that stance to the Zoning Review Board (ZRB). Although NPU-B voted to deny the rezoning, Planning Staff, and the Zoning Review Board support the rezoning. “This project has now moved forward and will be heard by the Council Zoning Committee and Council Community Development/Human Resources Committee. Both of these committees are aware of NPU-B’s stance regarding this case. That likely will be the last we will hear from Silver on this issue, as a public servant (chair of NPU-B, which is directly involved with this project, and a member of Howard Shook’s council staff) or an Atlanta resident. She may, however, be heard relaying the Dist. 7 office’s public line. Speaking to the BCN Thursday night, Councilman Shook defended the Lindbergh Center area project by saying, “With well-connected developers and their attorneys, and an administration that would love to see us start crawling out of our depression, I don’t have a monopoly on the outcome of this,” Shook said.He went on to explain that council members are going to be told that the development meets the legal criteria as asserted by the planning department, ZRB and some neighborhood members — even ones that don’t like the project. The telling point Shook made in that statement, however, was that the mayor wants development to get us moving out of the recession and to add tax monies in the city’s coffers—providing we don’t then give Sembler and Fuqua tax credit incentives to build the project. But he said the mayor definitely is involved in the outcome of this. 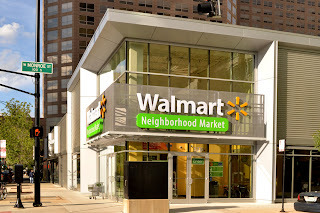 BuckheadView also has learned that Mayor Kasim Reed may be personally calling the shots on getting this development approved because of commitments he made to Walmart to help the company obtain other locations in Atlanta as a result of Walmart agreeing to take over the failed Publix market location in Atlanta’s West End Village. Several credible sources have told BuckheadView that Mayor Reed has “a very good relationship with the Walmart people.” These sources say Walmart wants to expand its presence in Atlanta and that Mayor Reed supports them in that. Word is he also may be helping facilitate Walmart being able to open a store in the Cascade area. BuckheadView is told that is not yet approved, but will be very shortly.One thing for sure, the processes and procedures for granting land-use and zoning changes for this particular development have been escalated in the past couple of months and at the same time, the scheduling has become totally screwed up. For instance, the request for changes in zoning for the project went before the Zoning Review Board on July 12 and narrowly was approved by the ZRB. However, it has been determined that it should never have been presented to the ZRB at that time, since a required Development of Regional Impact (DRI) study had not been done. That DRI study was not even requested by the city’s Planning Department until July 13, the day after the ZRB hearing. But the confusion does not stop there. City Council also cannot take action on either the zoning or land-use changes for this project until the DRI study is completed and presented to Council. However, the City Council’s Zoning Committee had scheduled a hearing on the zoning issues last week, but was unable to act on it because of a lack of a quorum. This was the latest site plan presented to NPU-B earlier this summer. The 150,000-square-foot bix-box Walmart is the brown area at the top left. The Council Zoning Committee deferred action on the zoning issue until its Aug. 20 meeting, the same day the full Council returns from summer recess and was to have voted on the zoning issue related to this project.To even further confuse the issue, the Council’s Zoning Committee apparently cannot take action on the zoning issues on this case until the Council’s Community Development/Human Resources Committee first votes on the requested changes in land-use, which involves the city’s Comprehensive Development Plan. The CD/HR Committee does not meet until Aug. 28. But in reality, none of these city bodies can vote on any aspect of this project until the DRI study is completed, and that is not likely to happen before Aug. 20. 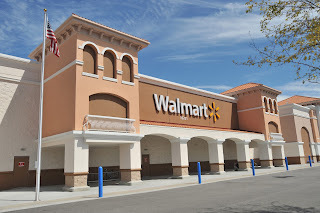 A photo of a fairly typical modern Walmart big-box store. Does this not make Atlanta residents wonder if the right hand knows what the left hand is doing down at City Hall? These procedures are nothing new. But it could be that the process is being forced forward to meet someone’s agenda—possibly Mayor Kasim Reed’s.You have to wonder why the city’s Planning Department staff originally denied the developers’ plans and then ended up approving them. You have to ask why the DRI study was not applied for until July 13, the day after the ZRB voted on the zoning issue involved with the development. And why would the developers say they were told a DRI study was not necessary? Neighborhood Market grocery stores, but not a big box. Why did one of Mayor Reed’s top policy advisors show up at a zoning meeting for the very first time when this development’s zoning issue was being considered?Oh, and should be ask why Walmart is putting up the $25,000 for the winner of the contest to design the park across the street from City Hall? Will there be a Walmart there too? Should we ask why a member of City Council might ignore the wishes of his constituents and vote for a development the NPUs and neighborhoods have said they do not want? And, you have to ask why Sally Silver, the chair of NPU-B, had to leave Aug. 7 at the end of the regular NPU-B board meeting and before several members of the NPU board met to discuss the Lindbergh area proposed development in a special executive session. Those who attended that meeting decided to draw up a formal document outlining how the proposed development conflicts with both the letter and intent of the SPI-15 ordinance by which the development must be judged. Like Councilman Shook, BuckheadView is awaiting that document and will bring it to our readers as soon as we get it.